“Fundraising in this city shouldn’t be this hard.” That was the driving thought that brought together a group of friends of Young Life to figure out how to raise more support across Cincinnati for all of the seven distinct areas. As we unpacked this issue, we discovered just how stretched the staff were in each area. The numbers that stuck out the most to me were 12 staff, 400 volunteers. That’s roughly 33 direct reports for each staff person. From my perspective, we were in desperate need of middle management. Some people bristle at that idea, but I teach management, so I have a special appreciation for it. What’s more, Jesus only had 12 direct reports; should our staff people have roughly three times that? Fortunately, we already had some of these middle managers in place — volunteer team leaders (VTLs). So we decided to invest more in VTLs by creating a basic handbook and gathering all the VTLs across the city once a semester. We created the handbook (click here to download) with the idea of it being a short, quick-reference tool for all VTLs, but especially with new VTLs in mind. The aim of the handbook is to give an overview of what a VTL does, why they do it, what are the expectations for each responsibility, and what are some best practices. This serves as a baseline for new VTLs to understand the role. We introduced these handbooks at one of our first all-city VTL meetings. The vision for the all-city VTL meetings was to encourage, honor and train the VTLs. Every staff member in the city strongly wanted to convey their deep gratitude and appreciation for what VTLs do. We executed on this by holding our 2.5 hour meeting at a unique location, catering lunch, and bringing in a top speaker to develop the VTLs. Our speakers were typically former staff or local business leaders who would teach on leadership skills. Our aim was to develop them more broadly than to train them solely for Young Life leadership. Themes were conflict management, learning from failure and personal growth among others. The second half of each meeting involved structured sharing among VTLs. We organized VTLs in different ways each meeting — by ministry type, by club size, by tenure as a VTL — and gave them a topic to discuss — preparing for camp, initiating new leaders, team conflict and more. The VTLs consistently told us that the sharing time was the most beneficial time for them. Encouraging each other, commiserating, and sharing ideas proved to be the best nourishment, which in turn makes them more ready to serve and lead their teams. Over the last three years of meetings, we have consistently heard from VTLs that these times together encourage and honor them. New VTLs join other leaders of leaders in community, and veteran team leaders learn that it does not have to be lonely in leadership. There are a lot of metaphors about what Christ followers should be and one of those is to be an aroma that others are drawn to. In your Young Life community, that “aroma of Christ” is one of the most powerful and potent elements of your fellowship. 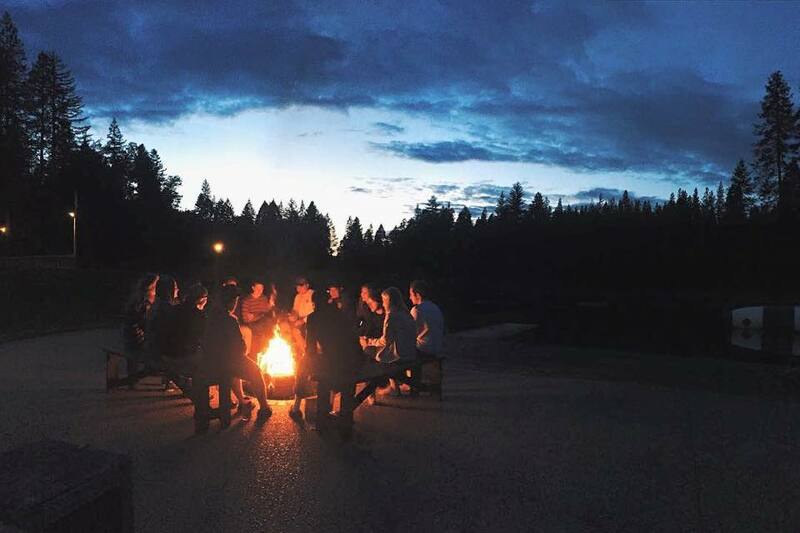 If you want to see Young Life thrive in your area, you need to become a culture-shaper. When you do — you can almost smell the difference. Culture doesn’t have to be influenced by you, it’s happy and glad to continue evolving with or without your input. But you have influence, you can shape it. If you want to be a kicktail culture shaper, you start by being a kicktail listener. Consider this … what if you aren’t really aware of the current status of your area’s culture? What if your assumptions aren’t true? What if your team really doesn’t like sharing ideas because they think you’re closed off? Better yet, what if this is a great moment to show your team that you want to listen to them? Having a great culture makes the work of your team more productive, enjoyable and creates a magnet for your recruiting efforts. When your area culture is thriving, people will speak favorably about their experience, you will see more and more great leaders, staff and committee come through the door, tenure of leadership will likely increase, and the snowball rolls down the hill. Do your volunteer leaders love being together? Do they feel successful? Do they feel supported in their role? 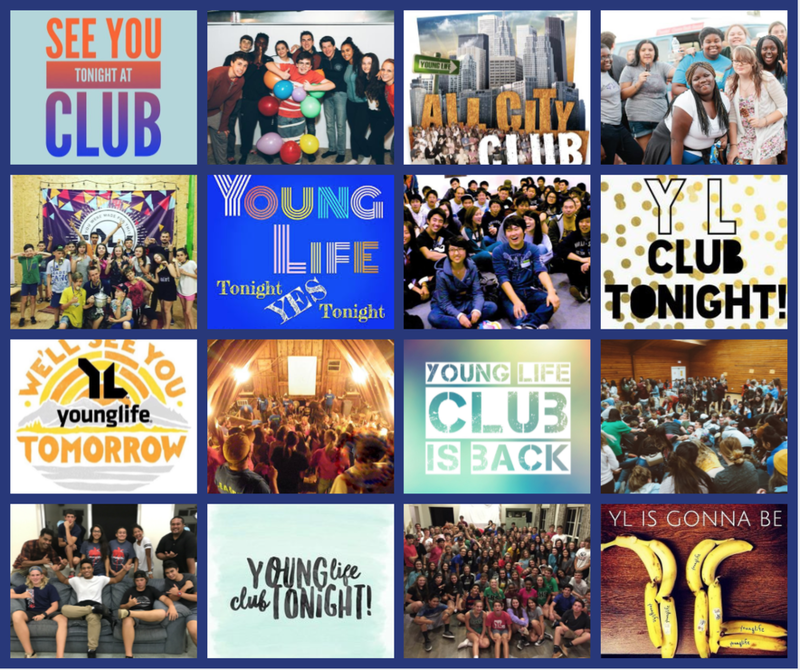 Do they feel a sense of pride and ownership about Young Life in your area? Do they feel that their ideas are welcomed and valued? These may seem like little things, but THEY ARE NOT. For example, if people feel their ideas aren’t welcome, they are less likely to bring them to the table. What if their idea is the innovative thing that helps reach the next kid? What if their friend is the next best leader? What if they could be a leader for 2, 10, 20+ years? Without a healthy area culture, we may never know. Send a survey to your leaders (survey link here for you to copy: Volunteer Leader Culture Make sure to duplicate this survey, do not send this one. Click the three little dots in the upper right-hand side and select, “make a copy.” Change it up, make it yours, make it anonymous if you dare. Ask each team leader to give 10-15 minutes at the beginning of their next meeting to have leaders fill it out. WAIT, don’t read responses as they come in. View the results all at once with a few trusted friends (committee member, team leader) and see what trends come up. What parts of your area’s culture are thriving? What parts need attention? What can you foresee as the leader that will have a huge impact if you invest now? Pick a few things you want to influence and get after it together. How do you do this? … That’s for another day, but for now, see the resources below. Remember, YOU HAVE INFLUENCE, and you can make a difference. The scent of a healthy community focused on Christ is hard to miss. Listen to others, love like Jesus, then notice the change. “For we are to God the pleasing aroma of Christ among those who are being saved and those who are perishing” (2 Corinthians 2: 15). I was recently texted an article from the Southwest Airlines inflight magazine with the headline, “How Many Hours Does It Take to Make a Friend?” Immediately, my mind went to a letter written by our founder, Jim Rayburn, in 1952. While Jim Rayburn couldn’t put a specific number on the hours that are spent by our volunteer leaders, earning the right to be heard, science is trying to. That should not come as a surprise to any Young Life leader, and it indeed would not be a surprise to Rayburn. In today’s world, it is important to note that these hours refer to “face-to-face” time. Social media and texting simply won’t do. None of those technologies will ever replace showing up at the school or a Friday night game. 50 hours — Sounds like a weekend camp to me. 90 hours — That’s a great semester of contact work at lunches, games and just hanging out with kids. 200 hours — Add a 20-hour bus ride to seven days of summer camp, plus follow up, and that’s what you will get. “What seems to be the case is that doing something I call a ‘context shift’ matters; this means that you want to spend time with somebody outside the place you met them,” Hall said. What Young Life calls “Level 1 Contact Work” (just showing up/being seen) and Level 2 Contact Work (conversing with a kid) has to experience that context shift to move to Level 3 (doing something together). Without that critical shift, leaders are left with superficial relationships with kids that have little or no impact. If you are a volunteer and feel you are stuck at “Level 1,” just showing up at the school or a game for an hour or two every week, ask your team leader to help you make that “context shift” with kids. Pray that God would help you see new opportunities ahead of you to deepen those relationships. Maybe we didn’t need the “The Journal of Science and Personal Relationships” to tell us these things, but it’s helpful to see the science to back up what Rayburn knew. Those hours and hours of contact work you are putting in are not a waste of time. The Lord is using them! Keep logging those hours, volunteers. Science backs you up. But better yet, Jesus backs you up as well! Before I jumped in with any quick answers of my own, I wanted to know what other, younger staff, staff thought. I texted my friend Caitlin Carr, Young Life Area Director, who happened to be eating with a group of her campaigner girls when I reached her. She was able to take advantage of the moment and ask her campaigner girls why club was important to them. I think Caitlin’s girls got it right. Young Life without some regular form of club (a relational, fun, non-threatening, proclamation gathering… not necessarily five songs, skits, and announcements) can be like a bus without tires. We’re loaded up with kids and ready to go somewhere, but it’s difficult to move anywhere. Club is a natural product of excellent contact work. As leaders know kids and kids trust their leaders, it’s natural if all those leaders are gathering somewhere on a weekly basis, that the kids that know and trust them would want to be there as well. It’s a weekly celebration of relationships. If club numbers lag, it can be a weekly barometer revealing a lack of quality contact work. Summer camp is wonderful, but not accessible to everyone. Weekend camps in some parts of the world are filled to the brim, but in most areas, happen only once a year and have limited space. Club is a weekly opportunity celebrate relationships and for EVERY kid in your area to hear a leader they know, stand in front of them, open the Bible, and proclaim the gospel in a way they can understand, relate, and respond to. There’s no deposit required, no scholarship money needed, and no limited number of seats available. “Club still works… At the end of Monday night when club is over, I'm thankful. Kids had a great time, heard about Christ and were with people who love them. I'm convinced this is as powerful as anything we say.” To read John Evans’ entire article on the importance of Club, click HERE.